Corson Learning supports landscape and playground professionals in creating outstanding work while advancing their careers. Passing the LARE with ease involves more than just knowing the subject matter, though that is important. This video describes four critical elements needed to successfully master these challenging exams. Corson Learning helps design professionals prepare for licensure and certification exams while deepening their understanding of exam content and its practical applications. This section covers design of everything from city streets to bio-retention, and knowledge of how a typical project progresses within an office and with community input. This section requires knowing how to bring a project to fruition by producing construction documents, specifications, and bidding documents, plus knowing construction detailing and grading. Create your Corson Learning account for free access to LARE Prep video previews and more! Check here for all upcoming online and live Corson Learning workshops and those from the recent past. Ready to take a big step towards achieving your goals? Register now for access to LARE Prep courses, upcoming workshops and more! 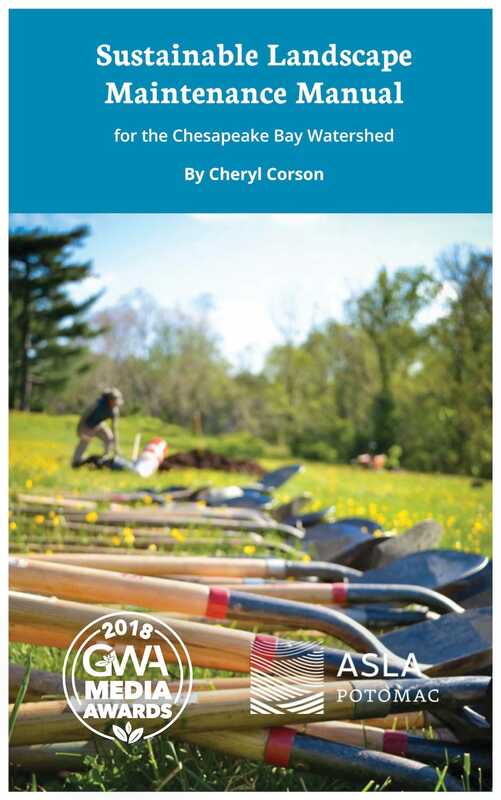 Cheryl Corson draws on decades of design and management practice to present the broadest framework within which landscape property managers, contractors, and design professionals may create customized, site-specific sustainable landscape maintenance plans. Many resources exist offering guidance on maintaining Stormwater BMPs (best management practices), but nothing on how to sustainably manage properties so that design intent, historic resources, the regulatory environment, and worker safety are also accounted for. This manual supports a new communication paradigm between designer, contractor, and client which places the landscape itself at the forefront of maintenance decisions. With financial and in-kind support from the District of Columbia Department of Energy & Environment, the Chesapeake Conservation Landscaping Council, the Low Impact Development Center, and the Maryland Sea Grant College, this manual was written to serve as the maintenance reference for the Chesapeake Bay Landscape Professional (CBLP) voluntary certification program.